It was a game of moments, many of which are now being analysed, and will be for years to come. 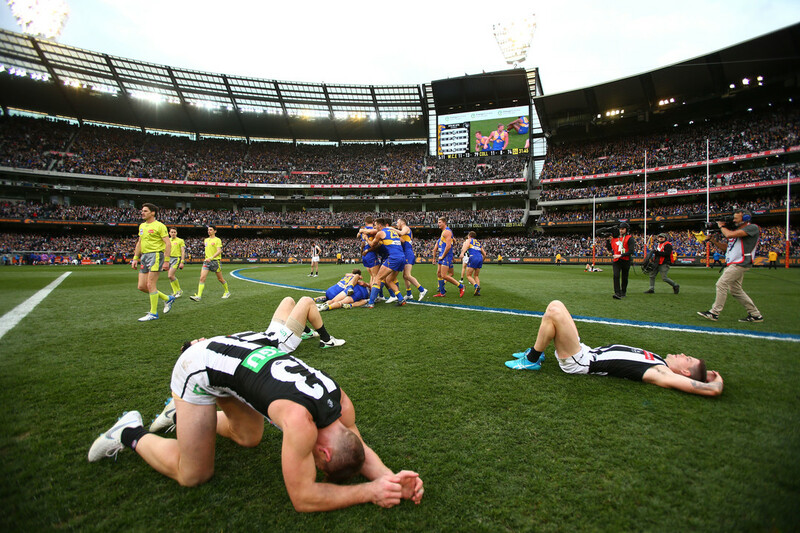 For Collingwood people, it is a loss that will never get any easier, even in their quiet moments. They will seek to build from it, grow as a team, grow as individuals, all in the knowledge that such an opportunity may never present itself to this group. At this time of year, there is a lot of talk about the culture of elite sporting teams and clubs, often from people who have never lived it. Contradictions abound. For all of its collegiality and team-spirit, it shakes itself back to its true form when futures are decided at the selection and trade tables. As tough as it seems, individuals are valued while they can produce what is required of them, or unless someone quicker, bigger and more skilful, or younger, cheaper and less risky is available, and then they are replaced. It is a game of constant tradeoffs.